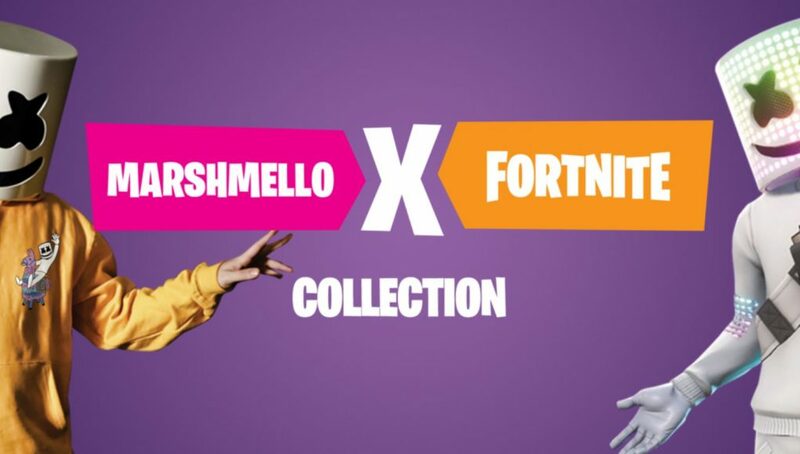 Marshmello now has a selection of Fortnite gear for sale. Famous DJ Marshmello’s next tour date will take him to Fortnite’s Pleasant Park. To celebrate this Marshmello has put a selection of merchandise of his website featuring the collaboration. There are a variety of long sleeved shirt, hooded sweatshirts and t-shirts available with four different designs: Loot Up, Death From Above, Blueprint and Mello Battle Bus. There are several colors to choose from for the designs but the most common are black, white or yellow. The cheapest option starts at $30 so grabbing something will cost a pretty penny. If buying merch isn’t up your alley then you can grab some in-game Marshmello loot by just completing challenges. The Showtime Challenges are now live and the first step is to find a Showtime Poster. 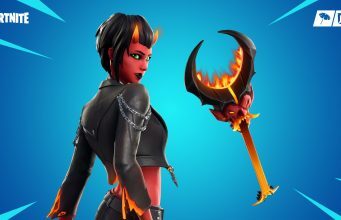 Doing this first challenge rewards players with a Marshmello spray while an emote and pickaxe will be up for grabs with later challenges. For those looking to catch the in-game concert, you’ll have to show up at Pleasant Park on February 2 at 2 PM ET. A stage is currently being built on the football field which is where the show will take place. Marshmello’s in-game model has leaked but it’s not yet 100 percent clear whether the model will end up being a skin available for purchase or not. You can check out all of Marshmello’s merchandise for sale with this link right here.